We all know the feeling of having too many chores and not enough time to tackle them all, let alone find the time to enjoy the things we love. Merry Maids® is here to change that. 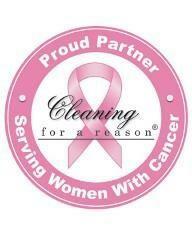 We are a cleaning service in Salt Lake City that takes care of your home and restores balance to your life. With proven techniques and advanced processes, we’ll handle your to-do list so that you can focus on everything else. Merry Maids of Salt Lake City is backed by a name with 40 years of experience and spends countless hours every year in homes just like yours. We understand exactly what you need and offer customizable services to fit your preferences and schedule. For added assurance, our results are backed by our worry-free guarantee. It’s time to start coming home to more. Request your free estimate today! Request Your Free Estimate Fill out our estimate form or give us a call at (801) 747-8545 to get started.